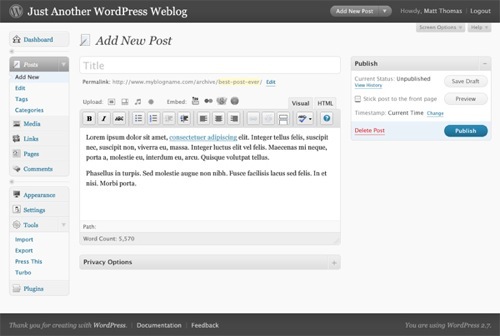 The first screenshots of WordPress 2.7 came online last week. It seems as if we just received quite a significant visualization upgrade with the current release, but now we have another one coming soon. It looks pretty good, but I would have personally preferred the menu bar to stay on the top of the screen rather than putting it on the left. 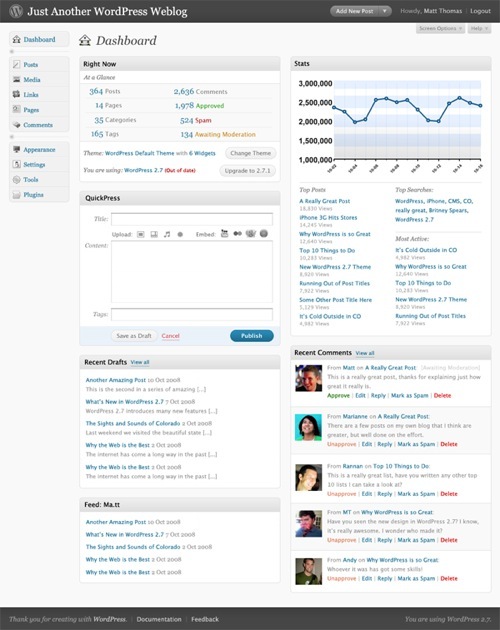 Id say its looking pretty good, i honestly like this new dashboard better. WhenI have time I’m going to upgrade. Ace: It’s not out yet.